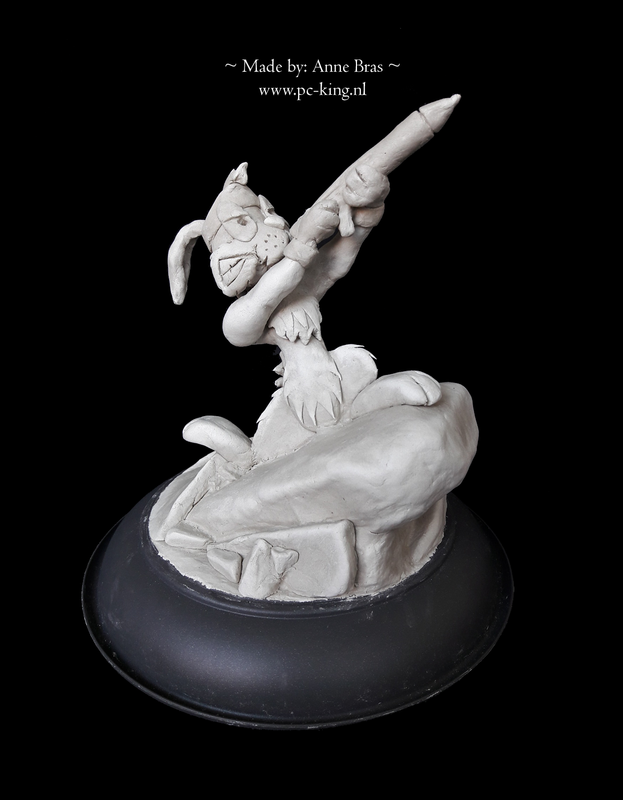 Last Friday I decided to make a Jazz Jackrabbit statue out of clay. I really wanted a Jazz Jackrabbit statue for a long time now, but to let someone make one for you is quite expensive. So I though by myself “Why not make one myself?”. And the Jazz Jackrabbit 2 20th anniversary seemed like the perfect moment to do it. I was really afraid that I would screw up the face since a lot can go wrong there, but I’m actually quite happy with the result. I’m not sure if I should paint it or not. We’ll see. Eventually it will join the rest of my Jazz Jackrabbit collection in the museum. This was posted on RabbitJournal on 14 May 2018 at 11:56. You can post, too!